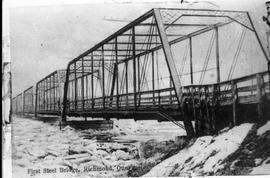 Item is a photograph of the Rockland slate quarry's narrow bridge. 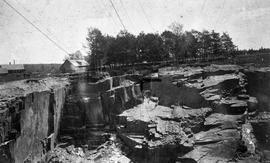 Item is a photograph of the New Rockland Slate Quarry, located near Kingsbury. Item is a photograph of steam shovel being used at the Rockland Slate quarry in Kingsbury.